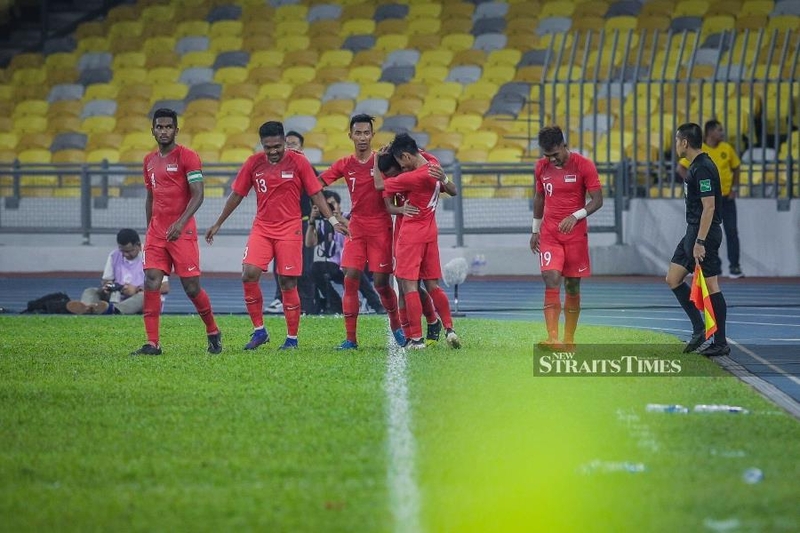 KUALA LUMPUR: Singapore emerged as the kings of the ‘Causeway’ when they edged Malaysia 1-0 to reach the final of the Airmarine Cup at the National Stadium in Bukit Jalil on Wednesday. The tournament was organised solely to boost Malaysia’s ranking in hope of being ranked among the top 34 teams in Asia but the move has now backfired. It does not augur well for Harimau Malaya in the F:30 roadmap era. While Singapore will face Oman in Saturday’s final, Tan Cheng Hoe’s side will take on Afghanistan for third place. The FA of Malaysia’s (FAM) last-ditch plea to stop Ultras Malaya from boycotting the tournament through a press release on Tuesday also backfired as only 3,741 paying fans were at the 90,000-capacity stadium. The defeat is also quite embarrassing considering that Singapore only gathered their players for the tournament on Monday while the Malaysian players were assembled for centralised training on March 12. Faris Ramli, who played for Super League side PKNS last season, scored the only goal of the match in the 82nd minute courtesy of Khairul Amri Kamal’s defence splitting pass. For Singapore interim coach Nazri Nasir, a win in his first game in charge will boost his chances of being handed the full time job. Malaysia, however, were not poor in terms of play but were wasteful in Singapore’s penalty box. Cheng Hoe brought in midfielder Nor Azam Azih and defender Matthew Davies to his starting line-up but otherwise remained faithful to the team that reached to the final of the AFF Cup last year. Singapore were a better team in the first half but the Malaysia defended stoutly until the half-time whistle was blown. In the second half, Cheng Hoe introduced Abdul Halim Saari, Nazirul Naim Che Hashim and Ahmad Hazwan Bakri, but the trio failed to inspire the team. Naturalised player Mohamadou Sumareh was also poor in decision-making down the right flank while captain Zaquan Adha Radzak could not take advantage of the chances he had.